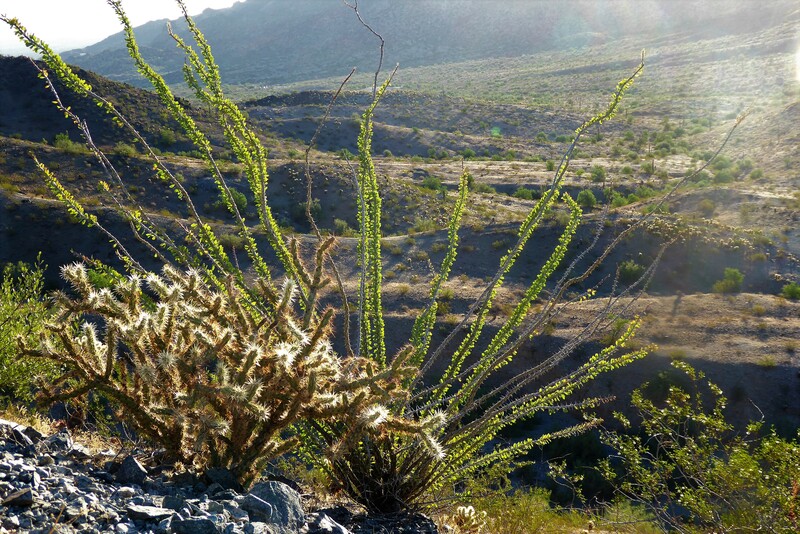 A fun desert plant to admire while hiking past, is the ocotillo plant. This unique plant looks like a firework exploding up from the dry desert ground, adding extra flare into your hiking adventure. 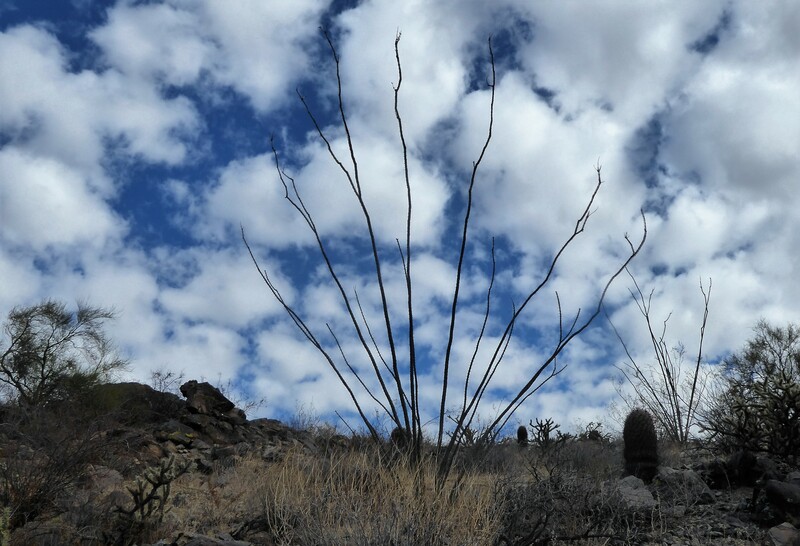 The ocotillo plant grows straight up from the ground protruding long thorny stems reaching out to the sky. 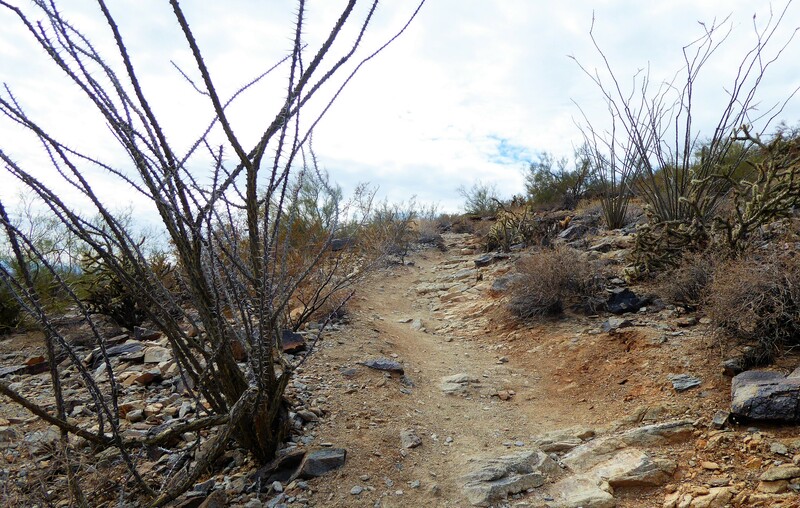 Depending on the time of year you are hiking, you may see them bare with cat claw like thorns extracted out of the stems. Or if hiking in the spring, you’ll likely see them looking soft and colorful with short green leaves covering up the thorns and red flowers blooming from the ends. The name ocotillo in Spanish, means “little torch” which is a perfect description of them during this season. While blooming, it’s not uncommon to see hummingbirds fluttering from stem to stem, attracted to the red blooms. The stems can grow to be 20 feet high and they live up to about 60 years, and studies even suggest some have lived to be 100! If you visit the Desert Botanical Garden you will come across a display where they show visitors the ocotillo plant being used as a fence. Because of their length and thorns, the stems make for a great fence to protect gardens from pesky rodents, and intruders to your home. This was a common construction used by the native people who lived on this land and also still used today. 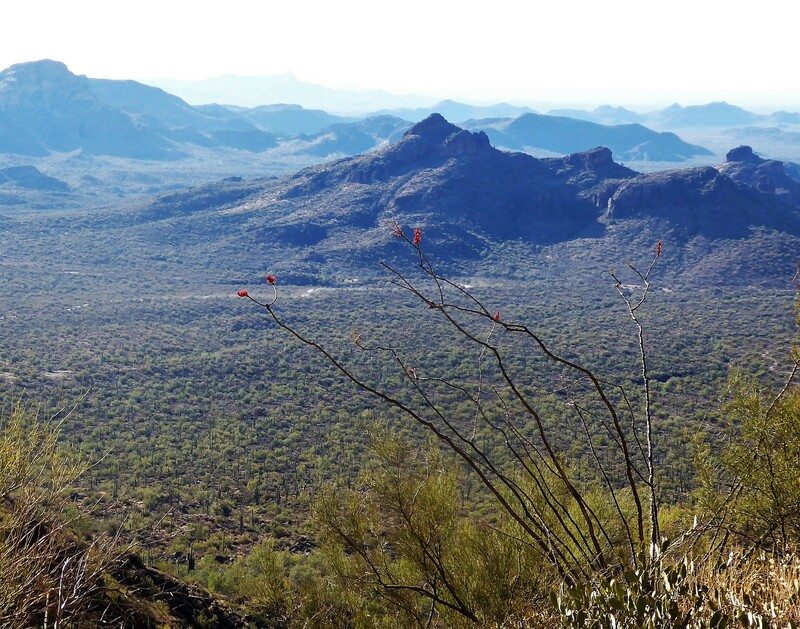 So let’s get outside and enjoy this extraordinary plant life that our desert have to offer us! Interesting and a bit unusual.